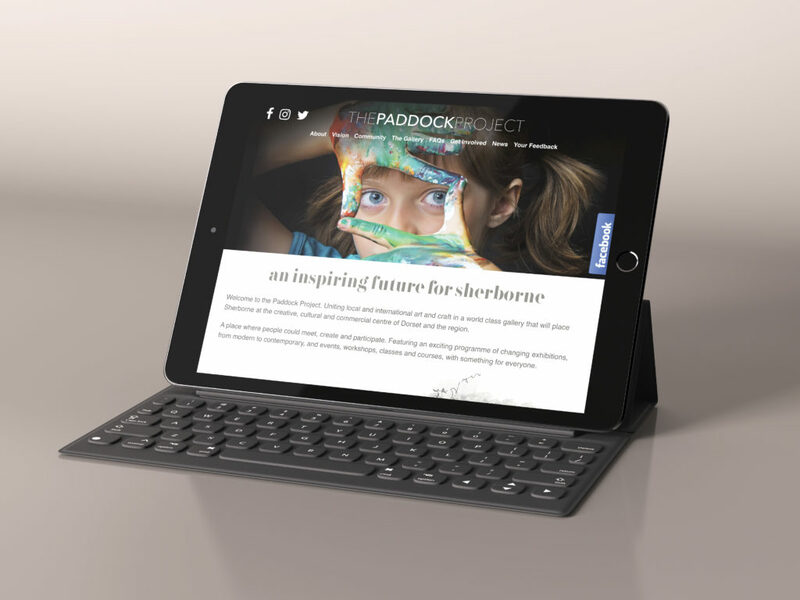 Here at Lolly, we are proud to be able to call Sherborne home and were henceforth ecstatic when the opportunity to help carve an inspiring and creative future for the town arose in the form of the Paddock Project. The project itself will see the development of a world class visual arts venue in Sherborne, that will present engaging exhibitions for the local community and for audiences from near and far. Greater than this, the gallery will become the social and cultural hub of the town; a place to meet, to be inspired, to learn, participate, be creative and have fun. Inspired by the creative nature of the project itself, the studio have been busy designing and building both the project’s branding and website. We have also been successfully utilising press and social media to interact with the local community and maintain positive buzz around the project. We are excited to continue working closely with the project and to have the opportunity to leave our mark on this small historic town with its big heart and even bigger dreams.